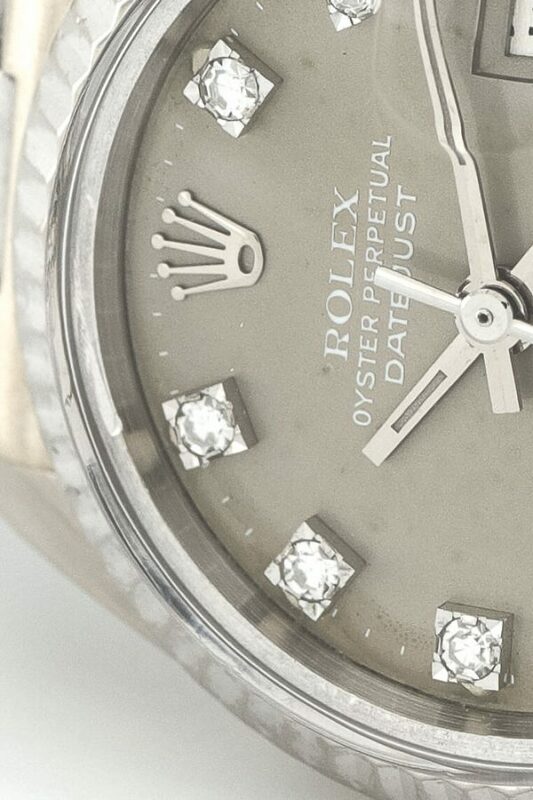 Sorry gentlemen, this Datejust is just for the ladies. Measuring only 26 millimetres this watch from a distance looks more like an elegant bracelet instead of a wristwatch. 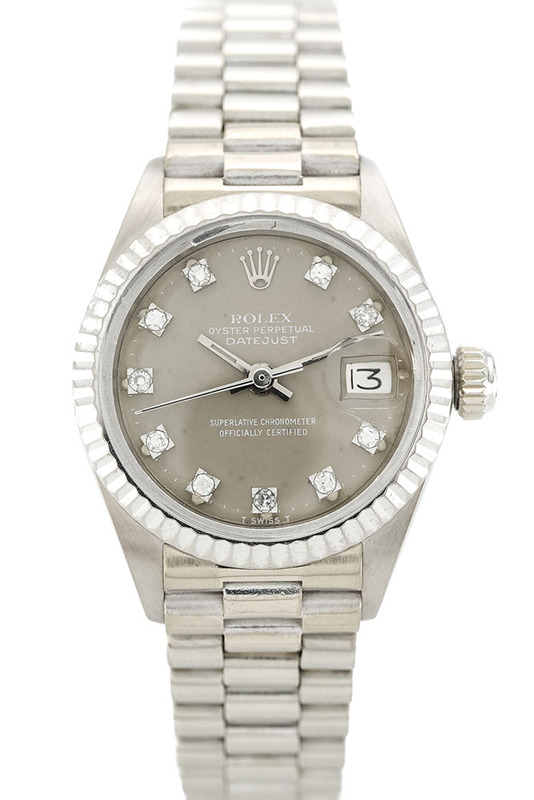 The lady Datejust was introduced in the early 1950s. From its introduction on the Lady Datejust has become part of women’s fashion and hasn’t been out of the collection ever since. However, finding one as perfect as ours will be a challenge. When it comes to the material you may get fooled, the prestigious presidential bracelet gives it away though. 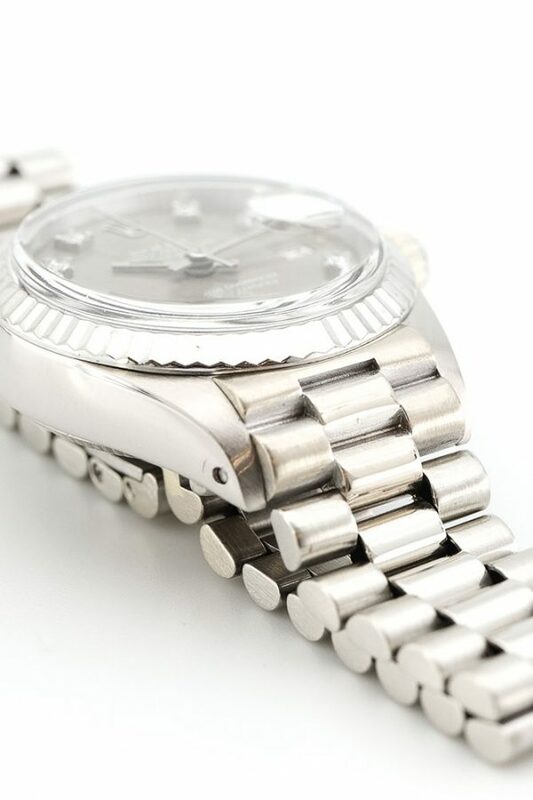 This specific Datejust is built fully with 18K white gold. The material gives the watch just the right weight to be noticeable and comfortable on your own wrist. 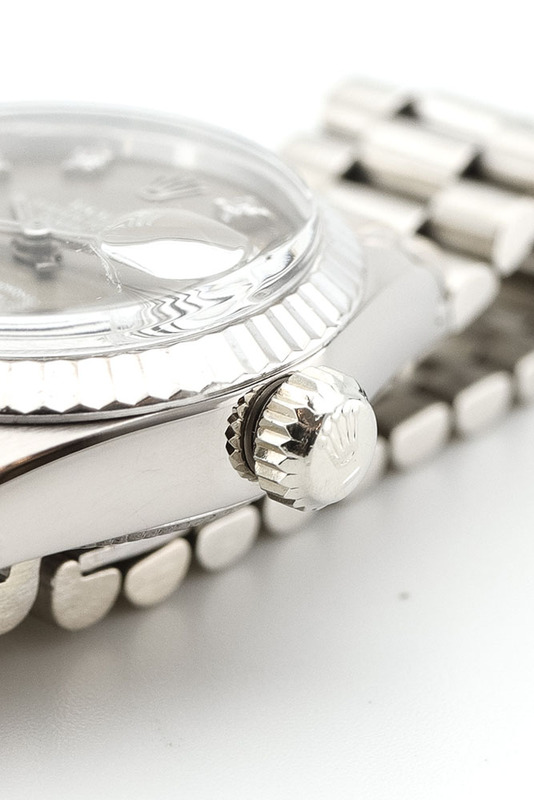 The hidden Rolex crown clasp finishes the beautiful presidential bracelet. The white gold makes this Datejust already so much more fabulous than others. The so-called ‘polar’ dial with diamond indexes completes this magnificent piece. The dial has a unique colour best explained as a matte grey with a creamy touch. In daylight, the dial is slightly darker coloured than the case which gives a nice contrast to the face of the watch. Moreover, the grey dial has a white letter printing which makes this a Polar dial, another well-appreciated detail. The factory set diamond indexes finish this beauty. 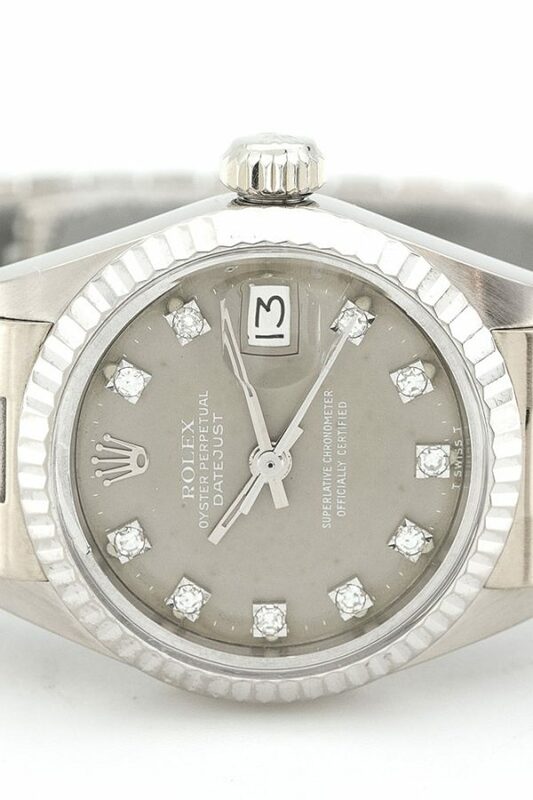 Tags: 26mm, 18k witgoud, Diamond dial.